Volume 1 covers stamps from the United States, United Nations and starts an alphabetical listing of and countries of the world A-B, Abu Dhabi through Bushire, which is continued in the next five volumes. 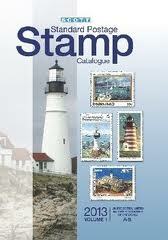 Includes up to date pricing and full color illustrations..
An alphabetical listing of stamps from countries of the world, C-F in this volume 2 of 6. Includes up to date pricing and full color illustrations. 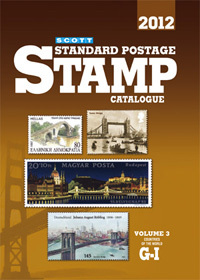 An alphabetical listing of stamps from countries of the world, G-I in this volume 3 of 6. Includes up to date pricing and full color illustrations. 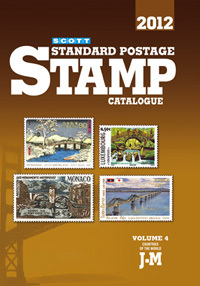 An alphabetical listing of stamps from countries of the world, J-O in this volume 4 of 6. Includes up to date pricing and full color illustrations. 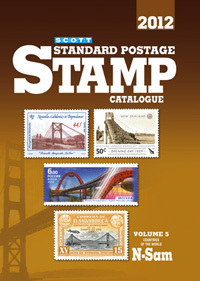 An alphabetical listing of stamps from countries of the world, N-Sam in this volume 5 of 6. Includes up to date pricing and full color illustrations. 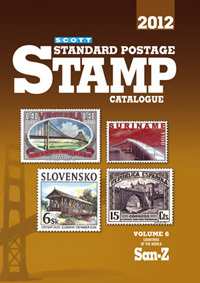 An alphabetical listing of stamps from countries of the world, San-Z in this volume 6 of 6. Includes up to date pricing and full color illustration. Prices for Disney stamps listed alphabetically by country. 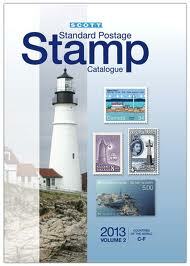 Over 250 pages with every stamp fully illustrated...over 2,900 photos! 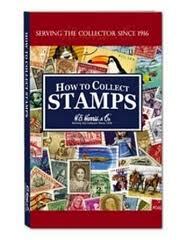 This book is great for and new collector! Contains valuable information on getting stated, terminology, identification, proper storage and display, maps, history, and much more! Illustrated, 220 pages.